PALM SPRINGS, CA (January 16, 2019) –Designer and humanitarian Steve Chase will receive the 427th star on the Palm Springs Walk of Stars on February 8. The dedication ceremony will take place at 4:30PM at the steps of the Palm Springs Art Museum. Three of the valleys most notable non-profit organizations will come together to honor Chase for the impact his support made locally. David Brinkman, CEO of Desert AIDS Project, Allen Monroe, CEO of The Living Desert, and Katherine Hough, Chief Curator at the Palm Springs Art Museum will each pay tribute to a man who impacted the work of their organizations. In the 1980s and early 1990s, it was difficult to raise money for HIV- and AIDS-related service organizations like D.A.P., because the virus and disease such carried a huge stigma. Those contacts paid huge dividends, as did Chase’s personal generosity. Not only did he lend significant support to D.A.P. – he also gave major support to the organizations today known as The Living Desert and Gardens, and the Palm Springs Art Museum. Steve Chase founded Steve Chase Associates, his Rancho Mirage interior design firm, in 1980, following a lengthy and noted affiliation with Arthur Elrod Associates of Palm Springs. An acclaimed designer, Chase was active for many years in community organizations, including the Desert AIDS Project, the Palm Springs Desert Museum, The Living Desert Reserve, and The McCallum Theatre. During his firm’s formative stages, Chase offered design, consulting, and purchasing services to the McCallum Theatre, confirming his longtime passion for the performing arts. In addition, numerous projects were undertaken at The Living Desert Reserve where Chase was a Board Member. Chase worked closely with Reserve administration, offering both design and financial support for additions including Eagle Canyon and the Meerkat Café. Chase contributed $2.5 million to The Living Desert Reserve for construction of an administrative center and a collection of California landscape art. 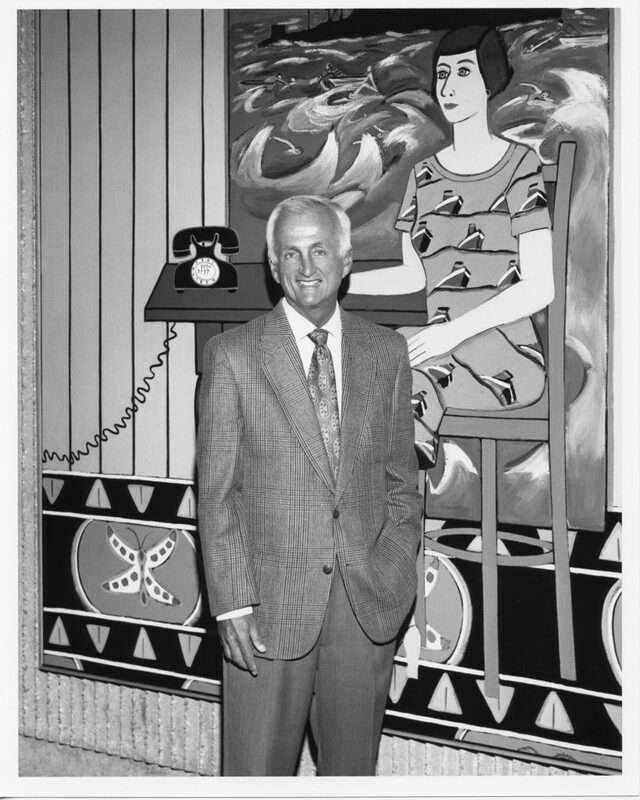 In addition, he gave $1.5 million and 132 works of art to the Palm Springs Desert Museum, which opened the Steve Chase Art Wing and Education Center in 1996. Chase’s introduction to the Desert AIDS Project followed his Board work with The Design Alliance to Combat AIDS (D.A.C.A.) in Los Angeles. The impact and need for local community services was apparent early, and Chase was committed to serving the desert community following his departure from the D.A.C.A. Board. He was an annual participant in the Desert AIDS Walk and he was instrumental in bringing “Heartstrings” to the Coachella Valley in 1992. This production was followed by “A Valentine’s Gala” in 1993, when Betty Ford, Joan Kroc, and Chase were honored for their longtime compassion and personal dedication to the Desert AIDS Project and its clients. Chase introduced his friends, business associates, and clients to the Desert AIDS Project and encouraged their financial and personal involvement. This introduction led to the dedication and donation of the private residence of Joan Kroc to Desert AIDS Project, a significant donation which allowed the D.A.P. to expand and broaden its mission. 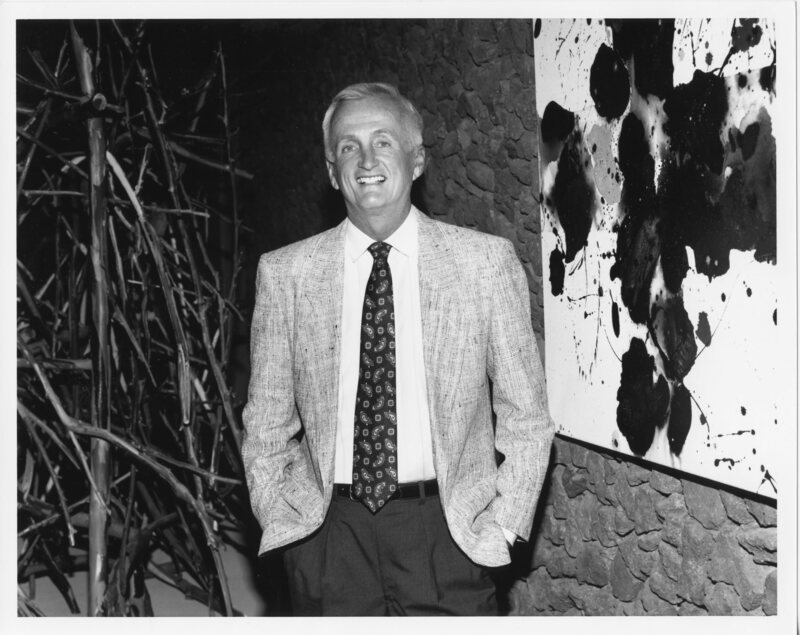 Chase’s professional honors included Interior Design Magazine Hall of Fame Award, and Designer of the Year, presented to him by Designers West Magazine. The Steve Chase Humanitarian Awards honors Steve Chase’s commitment to the fight against HIV/AIDS. Read The Art of Giving Back – Local award-winning interior designer, art collector, and philanthropist Steve Chase left nothing to chance. The Palm Springs Walk of Stars dedication serves as the beginning to a weekend of events honoring the legacy of Steve Chase. The Steve Chase Humanitarian Awards VIP party will follow the dedication inside the Palm Springs Art Museum for a guest list of donors and supporters of D.A.P. The 25th Annual Steve Chase Humanitarian Awards is February 9 at the Palm Springs Convention Center. To reserve your place at the party for the 25th Annual Steve Chase Humanitarian Awards, go to www.stevechase25.eventbrite.com or call 760-992-0445. This year’s awards will posthumously honor Steve Chase with Steve Chase Humanitarian Award honoring the impact 25 years of fundraising has made at Desert AIDS Project. The evening will also honor Geoff Kors and James Williamson’s marriage to community service when they are presented with the Partners for Life Award. Kors and Williamson have a long history of community leadership, focusing their time and resources on social and political issues as varied as LGBTQA+ rights, education, and healthcare. Long-time supporters of Desert AIDS Project, both are members of Partners For Life. Locally, Williamson served on the Palm Springs School Board and Kors is a member of the Palm Springs City Council. Desert AIDS Project (D.A.P.) is a Federally Qualified Health Center in Palm Springs, CA offering D.A.P. Total Care – a combination of medical, dental, counseling, social services, support groups, alternative therapies, in-house pharmacy and lab, and other health and wellness services. D.A.P.’s sexual health clinic, The DOCK, offers STD testing and treatment, Pre-Exposure Prophylaxis (PrEP), Post-Exposure Prophylaxis (PEP), and HIV and HCV testing. D.A.P.’s Get Tested Coachella Valley campaign, the nation’s first region-wide free HIV testing and access to care initiative, was recognized by the White House for helping to bring about an AIDS-free future. D.A.P. has earned a “Four Star” rating from Charity Navigator for the sixth consecutive year – landing D.A.P. in the top 6% of nonprofits rated. The distinction recognizes that we exceed industry standards in terms of our financial health, accountability, and transparency. Visit www.desertaidsproject.org, www.thedockclinic.org, and www.gettestedcoachellavalley.org to learn more. To reach our after-hours answering service, please call (760) 323-2118 and press 1. Nuestras horas de operación son de Lunes a Viernes de 8AM hasta las 5PM Para comunicarse con nuestro servicio después de las horas de operación, por favor llame al (760)323-2118 y presione el número 1.